John F. Swift was born in Missouri and trained as a tinsmith. In 1850, he moved to San Francisco where he amassed a small fortune in the produce business. He went on to study law and became an attorney in 1857. John F. Swift represented the 8th District in the California State Assembly as a Republican in 1863 and 1873-75. In 1865, President Abraham Lincoln appointed him Registar of the San Francisco Land Office, where he served for a year. In 1875, he ran as an independent for congress, but lost to William A. Piper. Along with Newton Booth, Swift formed an Independent Republican party whose platform was dominated by an anti-monopoly plank. The party dissolved after one year and Swift returned to the Republican Party. He later represented the 13th District from 1877 to 1880. In 1880, President Rutherford B. Hayes appointed him to the commission that negotiated the Swift, Angel and Wescott Treaty, which became the Chinese Exclusion Act. In 1886, he ran for Governor of California, but lost to Democrat Washington Montgomery Bartlett. Bartlett is also buried in Mountain View [see blog post on this site]. In 1889, President Benjamin Harrison appointed him Minister to Japan, an odd irony considering his involvement in the Chinese Exclusion Act. Swift died in Japan and was honored with one of the largest funeral processions ever seen in the country. Thousands of troops lined the streets of Tokyo and every foreign dignitary and Japanese government official was in attendance. The Japanese government provided a train to transport the body to Yokohama, where it was placed on a naval vessel en route to its final resting place at Mountain View. 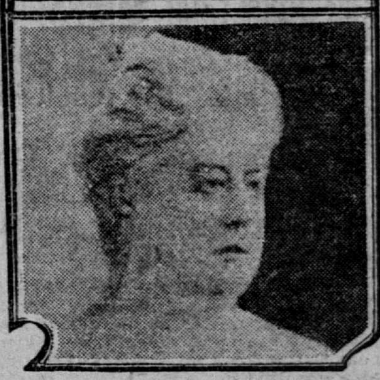 Mary Swift was a suffragette, who helped found the Susan B. Anthony Club in San Francisco. Swift and co-founder Mary Sperry were instrumental in creating ties to their Southern California counterparts and strengthening the movement. Swift helped Caroline Severance reorganize the Los Angeles Suffrage Society, which later became the California Equal Suffrage Association (CESA). After the name change, the group actively encouraged the participation of men. Swift was a leader in the effort to secure the right of women to vote in California, which became law in 1911. A strange irony in this marriage occurred in 1886, when Mary Swift's sister suffragette Clara Foltz supported and actively campaigned for Democrat Washington Bartlett over John F. Swift, who was his Republican opponent for governor, when the latter expressed the opinion that a woman had no right to be a lawyer.